Home is where you grow up. Home is where you settle. Home is where one sighs in relief after a tiring day out. But home is not as simple as that. My son Arjun, when he was in class XII at St. Thomas’ Boys’ School, Calcutta wrote a single-page article on what home means to him. 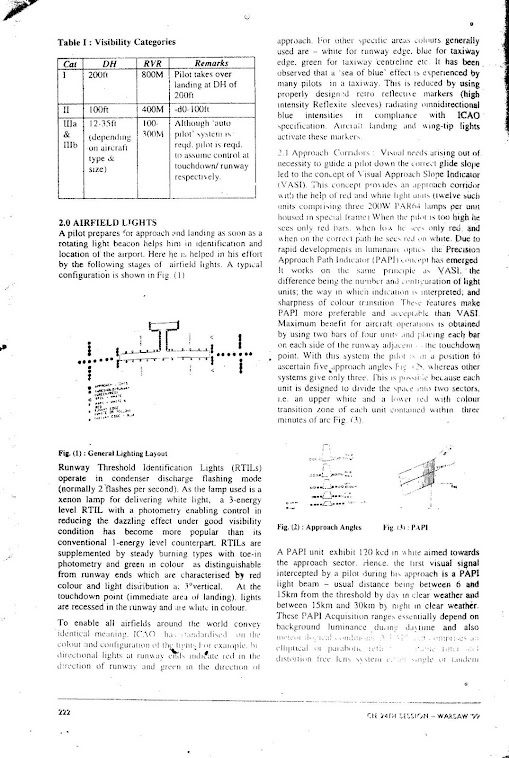 He sent this in to a writing competition held by Sheffield University, UK. He was awarded the second prize. For some reason, I lost that single typed sheet. 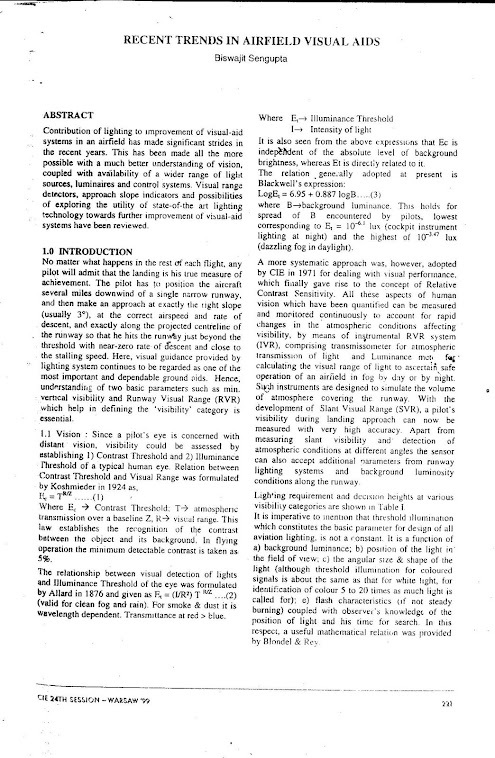 I have been looking for it ever since I started this blog—and finally, a few days back, my wife found the page, torn and tattered. Here’s Arjun’s essay—I hope you enjoy reading it as much as we did. And please leave your views and comments! On the streets. People stare because you got yourself tonsured. You stare back because you find them interesting. You move your body. You spend money. You use your brain. You catch a bus. You see them spit on the road and kick street dogs. You get agitated. In the day light, you feel safe. Guarded by the men in armour-plated suits and ties. At night you feel lost. You illuminate the earth. And then, like a blind man, you collide with the next person you see. In war-fields. You hide from the bullets whizzing all around you while your loved ones wait for your return. You are too scared to use your gun. So use your conscience. While the president sits at home sipping wine, you collide with a bullet. On a train. The landscape outside changes, the future becomes past. Your co-passengers change as the train moves from station to station. The summer breeze bathes your face. Different voices, different languages surround you. And then you hear the train scream. The trains collide. In space. You turn your telescope towards the sky to look back at time. And maybe someone two million light years away is looking at an earth inhabited by Neanderthals. Two million light years later when you are turned into dust and maybe the earth is also gone with you they will stare in awe through telescope at the third planet from the sun. Beaming with life colliding against each other. A discotheque. The guitar sound fades while the masses flow in. Voices boom out while lights flicker with the drum beat. Electronic sounds fill the room. You have left your telescope back at the work-place along with your brain. And then you reach out to grab it, control it, direct it, connect it. But you can not. You get confused. You get yourself a drink. Then you move your body. So does everybody. The light goes off. Masses collide. At some distance the empty space lights up. And then comes the delicate sound of thunder. And we are all one again. Tightly packed in a nucleus. Heavier than you and me and everybody and anybody. We will all explode again. To separate. Fight. Mark territory. And build walls. 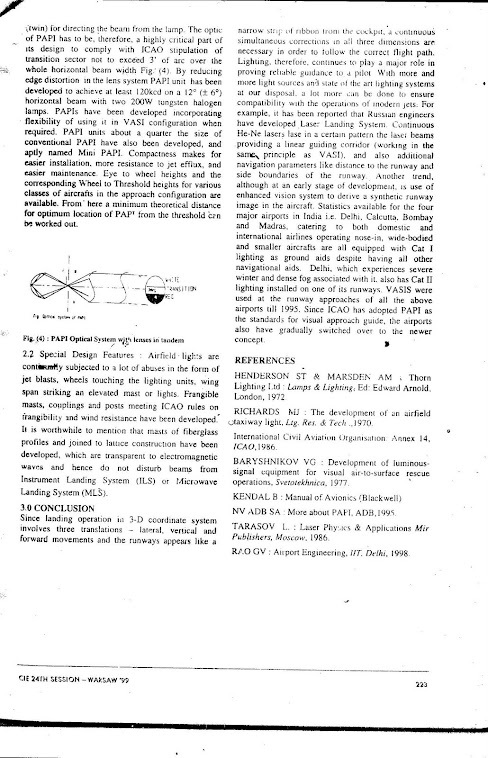 During my school days, those who opted for the science stream had to part with History quite early in their education. Even though I belonged to that group, I had a personal love for history, perhaps deeply influenced by my school - La Martiniere, Lucknow. Vast open spaces, old imposing buildings, the bizarre but magnificent architecture of the main building ‘Constantia’ – an unusual mix of Gothic, Georgian, Palladian and Nawabi styles, the three majestic cannons on the terrace overlooking the ‘Lat’( a 40m long solid fluted column) standing like a silent spectator right at the centre of an artificial lake, the wooden ballroom dancing floor in Spence Hall – it would be difficult not to love history in a place steeped in it. The city of Lucknow, where my school is located, is itself steeped in History. By a strange coincidence, our house in Lucknow faced a historical mansion 'Havelock House'. It belonged to Gen. Havelock, who led the relief of Lucknow during the siege. The street was also named after him as Havelock Road. Lucknow during the eighteenth century was the power center of the erstwhile kingdom of Oudh. A French soldier Maj Gen Claude Martin acquired a large fortune while serving Asaf-ud- Daula, the then Nawab of Oudh. The ‘Constantia’ was designed and built by Martin himself in the late 18th century. The school also got associated with the great uprising (Sepoy Mutiny) of 1857. The staff and students of La Martiniere played a major role in defending the Residency, where British men, women, and children had taken shelter, and which came under heavy siege from the revolutionary sepoys. For this ‘Defence of Lucknow,’ the school was awarded the unconsecrated Battle Honor by Britain in 1933, the only school in the world so distinguished. ‘Constantia’ – ‘Constantinopole’. It is difficult to forget such similar sounding words. Ever since I learned about Constantinople in my History class and that this was a renaming of the ancient city of Byzantium by Emperor Constantine I of Rome after his conquest in the 4th century AD, I always dreamt of visiting this place someday. After many years this long cherished dream turned into reality when I decided to go there with my wife. On the morning of May 1, 2011, we landed at Ataturk International Airport, Istanbul. Before boarding the flight at Delhi we met a Bengali gentleman who was also travelling by the same flight along with his wife and child up to Budapest. We were taken back for a while when he exclaimed - “does anyone visit Istanbul? 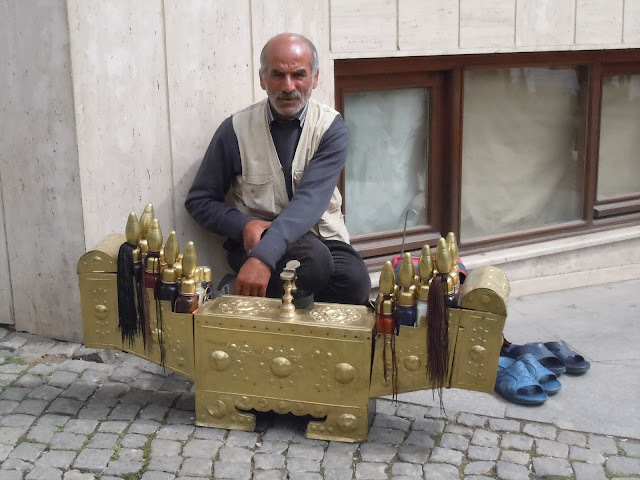 What is there to see in Istanbul”? We learned soon that he had never been to Istanbul, nor does he take any interest in travelling to new places. A man with no wanderlust – he was entirely unlike us! The Turkish Airline flight was very comfortable, and the hospitality was good. We were served small packets of hazelnuts with our wine, and they were so tasty that we asked for extra packets to carry with us. Finally, we were at Constantinople - Istanbul since 1930. I love the song ‘Istanbul was Constantinople now it's Istanbul not Constantinople’. The international airport is named after the founder of modern Turkey, Mustafa Kemal Ataturk. Mustafa Kemal Pasha, also referred to as ‘Kemal Ataturk’ meaning ‘Father of Turks’ was an astute army officer, a revolutionary statesman and the first president of the Republic of Turkey. He deposed Sultan Mehmet VI, thus abolishing the sultanate, and became President in 1924. The great Bengali rebel poet Kazi Nazrul Islam paid tribute to Kemal Pasha in his epic poem “Amar Kemal Pasha” as the people of undivided Bengal had supported Turkey’s war of liberation. We were excited. We could hardly believe that we were finally in Istanbul. 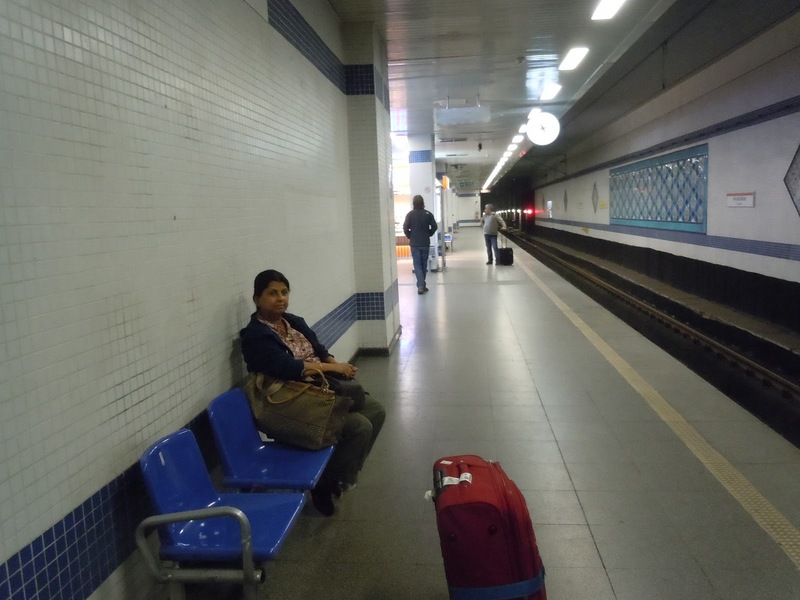 Since we were travelling light – one suitcase with attached trolley and a backpack, we headed straight for the metro or ‘light rail’ as they call it there. We bought the jetons (tokens). Unlike in India, there are no ticket counters. One has to get jetons from self-operated machines. Since we had no coins we took the help of the metro staff manning the gates at the station. They were very friendly – they operated the machine, taught us how to use it, gave us our change and the ‘jetons’ and explained in detail how we were to get to our destination. On the train, to get a good view of the city, each of us selected a window seat. The train emerges and runs overground just a few seconds after it departs from the airport station, and continues overground for almost the entire stretch up to Zeytunburnu, where we got off. One visual delight which continued attracting our attention during our stay in Istanbul was tulips of different sizes and colors. I have never seen such a riot of colors in any city, even in Holland, in my life. 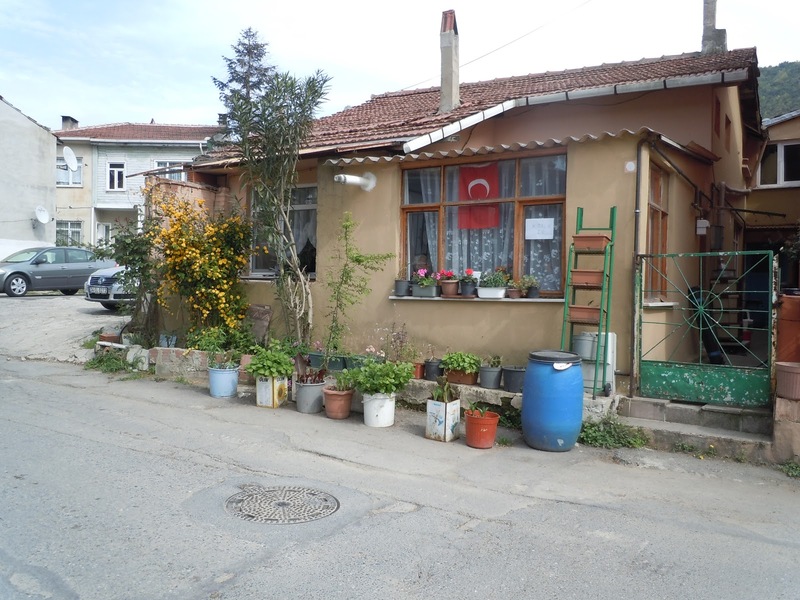 In all parts of the city, be it Sultanahmet circle, Blue Mosque, Hippodrome, Hagia Sophia, Top Kapi Palace, Eminonu - we were enthralled by the luxuriant display of tulips and rhododendrons. These flowers bloomed in almost all parts of the city. Istanbul - the city of tulips and rhododendrons! 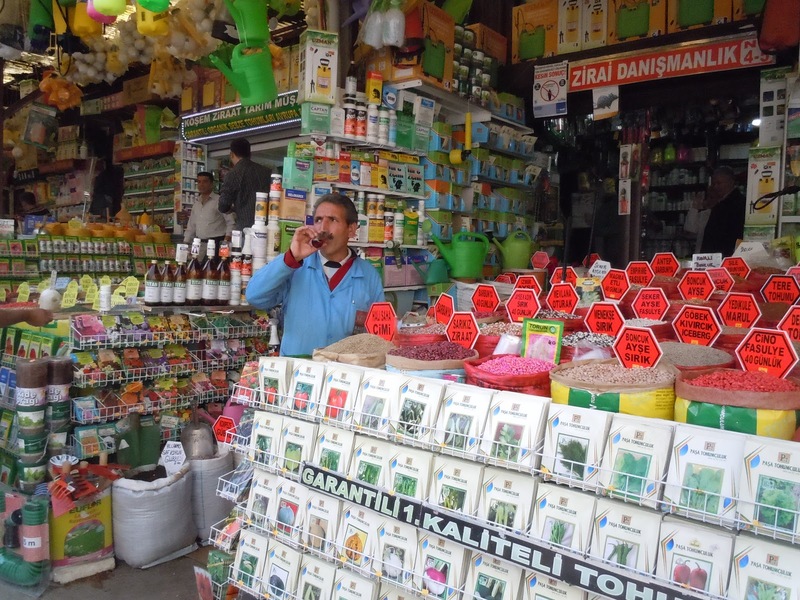 All along our short stay in Istanbul, we found that the Istanbullus are a convivial lot. From the moment you step into Istanbul, you will never feel like a stranger. We were booked at the Ida Hotel on Cancarturan Street. A few yards away from the tram stop was a tourist information center. An elderly and chubby looking Turkish lady was single-handedly attending queries from all tourists who came over there. When I asked her where this Cancarturan street is, she immediately left her seat, came over to me, patted my back and whispered to me that it is not pronounced the way it is written. Then she did a brilliant job of giving us directions. We never had to ask anyone else where the place is. 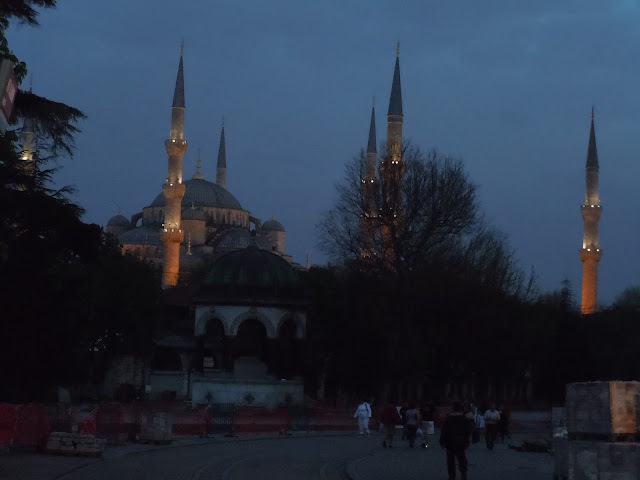 For going to Ida Hotel one has to cross a huge park in front of the Blue Mosque. This park is actually an extension of ‘At Meydani’ meaning ‘horse grounds’ as this is where the Hippodrome was located and where chariot racing used to take place during the Byzantine rule. 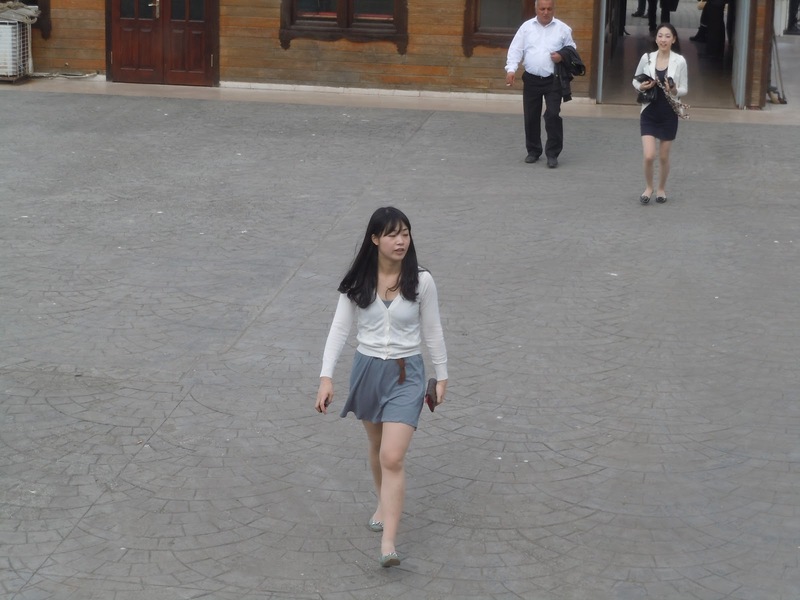 May 1 being a holiday, there was a teeming crowd of young and old enjoying the pleasant sunshine. There were vendors inside the park selling hazelnuts and candies. These candies are known as ‘akide sekeri’ (rainbow of colors) and flavored with rose water, mint and fruit juices. The whole process of preparing these candies in front of your eyes, by dipping the sticks in a colorful mixture of thick, glutinous fluid instantly brought out the glutton in me. Although it was sticky and messy, it was really yummy. Hotel Ida made our stay very comfortable. It was a small hotel with very nice and cozy rooms. The room we stayed in was located on the first floor and the windows overlooked the busy and lively Cancarturan Street. The eateries along the cobbled street of Cancarturan used to get decked up with lights and candle lights in the night and provided an attractive view from our hotel window. The hotel staff was very friendly and caring; particularly Sihan who acted as a guide and even booked us on a Bosphorus Cruise. 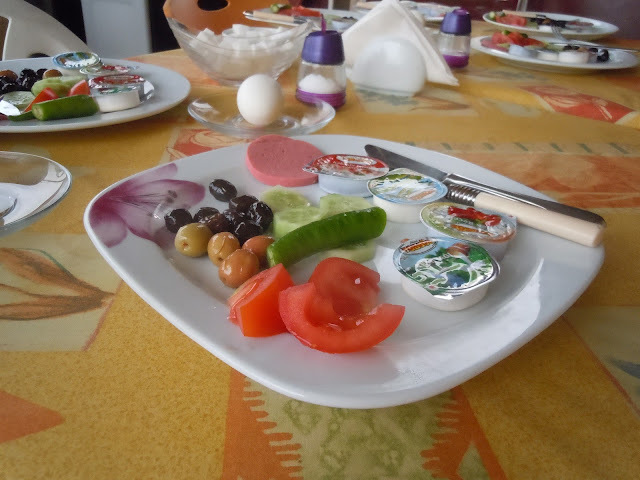 Breakfast was included in our hotel stay and it was prepared and served by a middle-aged Turkish lady. Bread, cheese, egg, ham, sausage, orange juice, milk, and tea were served on the hotel terrace, from where we had a grand view of the sea of Marmara. 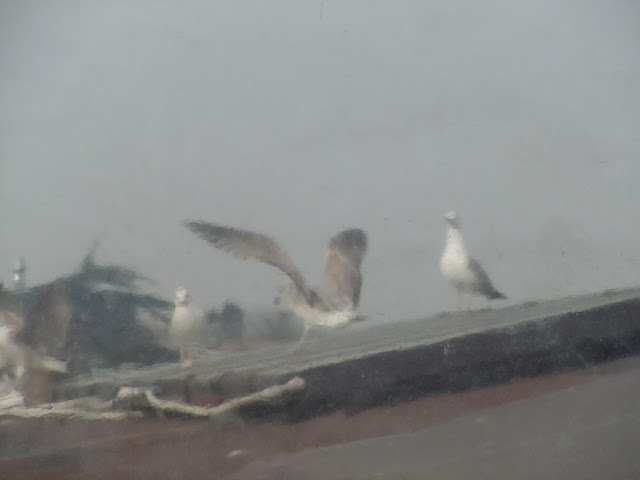 The sea was so close that sometimes the seagulls would come and settle on the roofs around us. The terrace, the breakfast, the sea, and the seagulls made the mornings refreshingly enjoyable. So much so that we unanimously decided to book our next visit to Istanbul here. Such was the hotel’s location that one could literally walk across to all the prime attractions of European Istanbul. 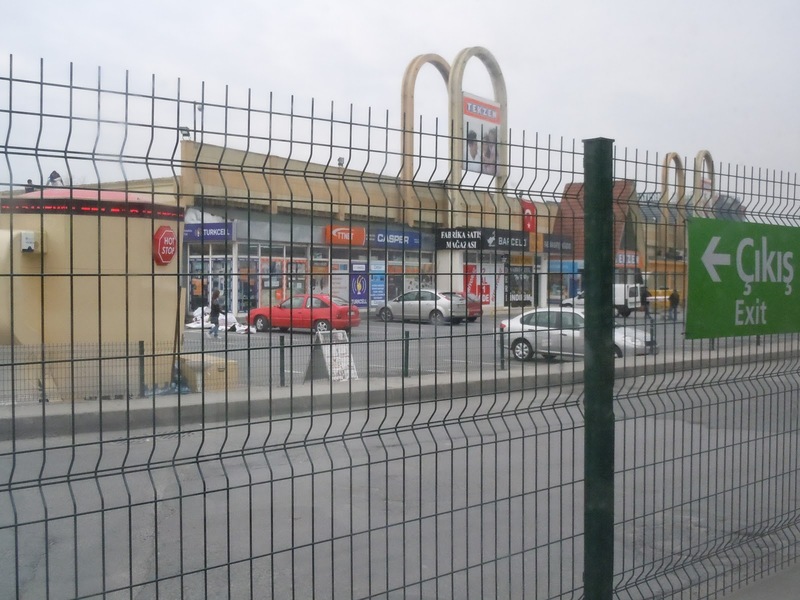 The Blue Mosque and Arasta Bazaar were at a stone’s throw. 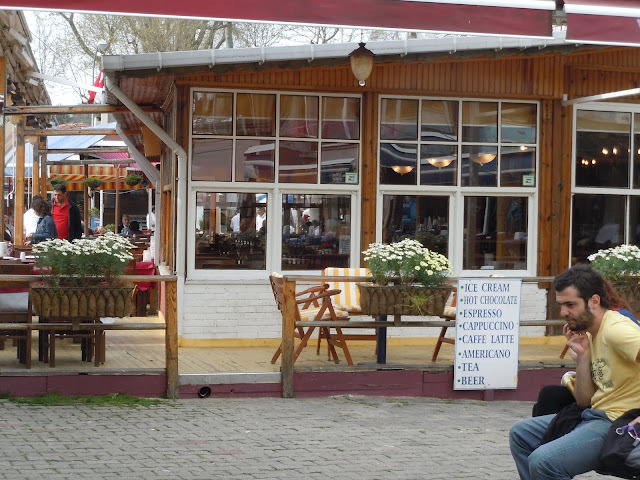 There was this Café Mesale at the entrance of Arasta Bazaar where one could have food and drinks at reasonable rates and also enjoy the ancient Turkish dance of whirling dervishes accompanied by ‘Sufi’-like songs and music. On the evening of our first day in Istanbul, we were picked up by the tour operator’s cab from our hotel and taken to a jetty at Golden Horn. Tables were booked for us inside a boat. 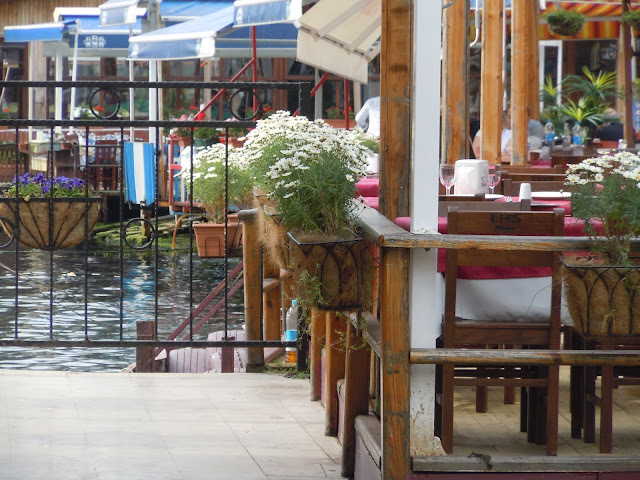 Each table could hold eight people, and the others at our table were from Lebanon and Hungary As our boat pulled out from Golden Horn jetty we were served drinks and starters. There was no hurry as we had till midnight to unwind. As our boat sailed through the dark waters of the Bosphorus strait, the city glittered in a romantic way. 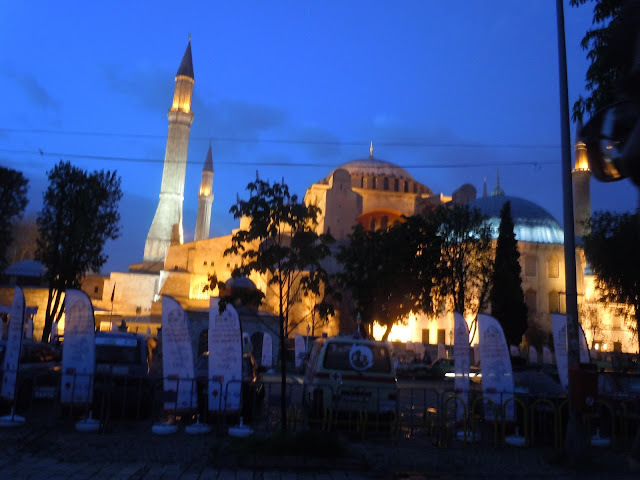 All the mosques, Ottoman palaces, and heritage buildings on both the European and the Asian sides of the city were tastefully illuminated. The Bosphorus Bridge connecting Europe and Asia was adorned attractively in electric-blue light, the reflection of which created an other-worldly spectacle on the waters of the river. Bosphorus Bridge connecting Istanbul, Europe to Istanbul, Asia. Asian part is on the right-hand side. As the boat crawled past the glittering Dolmabahce Palace, Ciragan Palace, Ortakoy mosque, and Beylerbeti Palace, we were enchanted. Inside we were entertained, not only with delicious food and drinks but by Turkish folk songs and music, Turkish folk dances and finally the famous Turkish Belly dance. At the end of this grand show, one thing which left us thinking was the efficiency of the entire crew – there was not a single lapse of hospitality on this packed boat with tourists from all over the world. 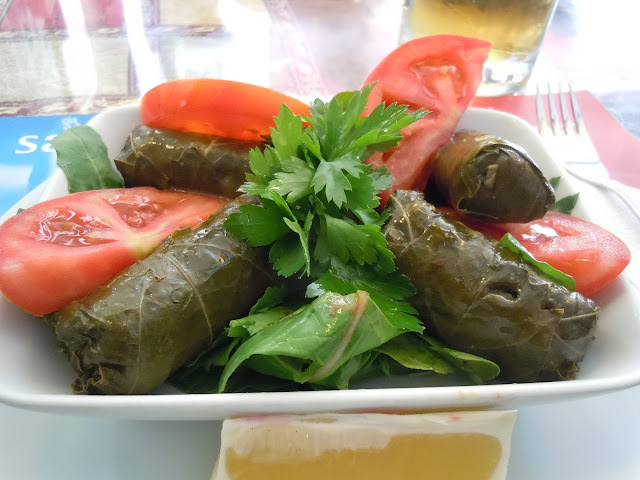 While in Istanbul we tried different restaurants for lunch and dinner. When you stroll on the pavement at Sultanahmet Square restaurant owners compete with each other and try to attract customers. One such Turkish owner whose restaurant was at the corner and adjacent to the Pudding Shop exclaimed ‘Indira Gandhi’! On seeing my wife in her sari. He showed us his restaurant, his menu card and became friendly with us as because he loved India. Before coming to Istanbul I had heard the name of ‘Sultahnahmet Koftecisi’ a very famous eatery since 1920. We had lunch there once. A very short menu, a meatball is the generic food there. 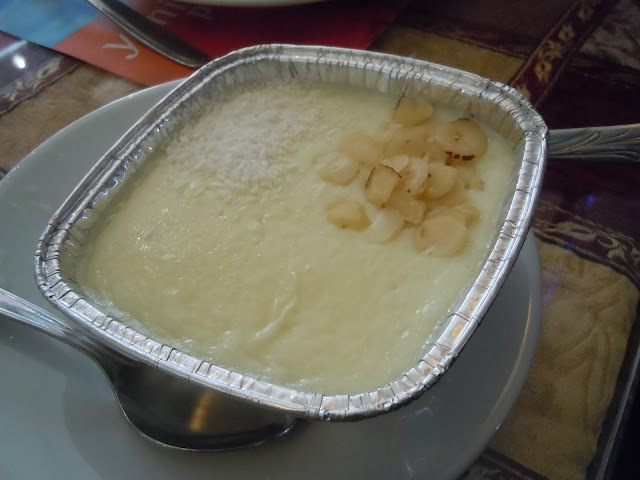 I had meatballs with bun shaped bread and then we had a dessert called Irmik tatlisi. Unlike India, the meatball or ‘kofta’ is flat and rectangular in shape, but it was really delicious. Public transport is so convenient and comfortable in Istanbul that we decided to go around to some places by tram. We went to Spice Bazaar (Misir Carsisi in Turkish) and the New Mosque. New Mosque is not as new as the name suggests. It came only a few years after the Blue Mosque. 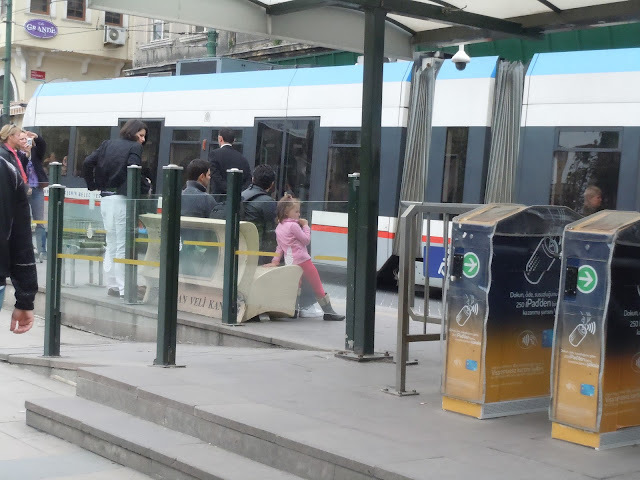 After getting down at Eminonu we used the subway from the tram stop to cross over to the other side where the New Mosque and the famous Spice Bazaar are situated. There was a crowded marketplace in the subway. Once you come up you are at a plaza from where you can see the Galata Tower and Galata Bridge. 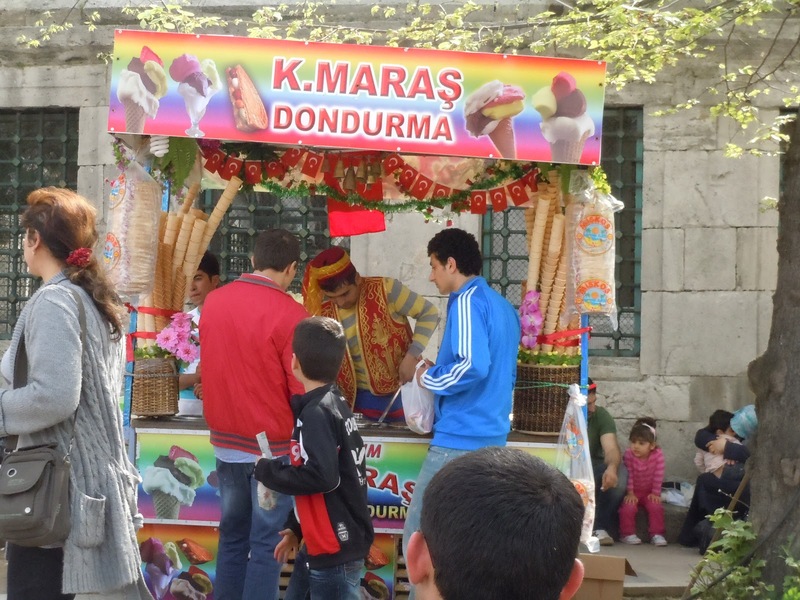 There were some vendors selling ice cream and hazelnuts. I was tempted to try out local ice cream. It was really good. From Eminonu, a lot of government boats are available for half day trips on the Bosphorus. We took one of those. Nice and comfortable, it also had a small shop selling cakes, sandwiches, hazelnuts, tea, and other beverages. We enjoyed Bosphorus by day as much as we enjoyed it by night. The shores on both Asian and European sides were lined up with houses, villas, palaces and other historical monuments. When we neared the small hamlet of Anadolu Kavagi on the Asian side, we could see the Black Sea. From the boat, the tiny hamlet looked like it was standing on the tip of a peninsula. I have no idea as to why the sea was named Black sea, but it appeared distinctively darker than the blue water of Bosphorus. As we stood watching the Black Sea, the cool, gentle breeze almost mesmerized us. 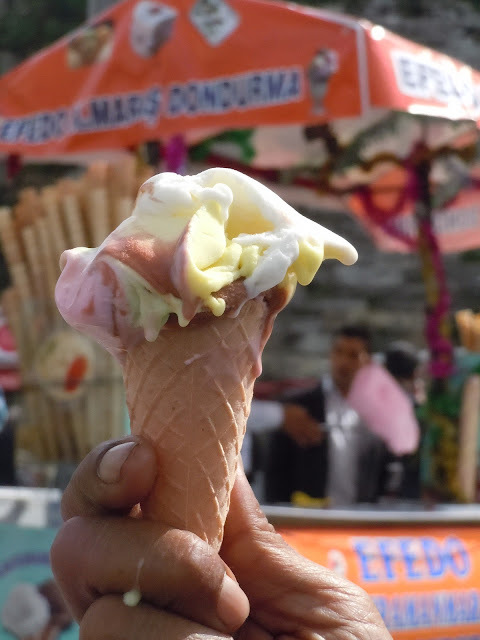 Local Ice Cream - it's superb! We stayed at Anadolu Kavagi for almost three hours. A small fishing hamlet in Asia with quite a few eateries near the jetty dishing out exotic preparation of different varieties of fish. 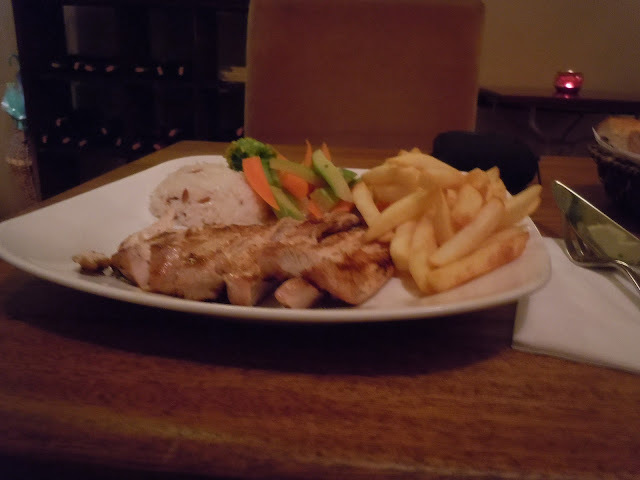 I had a delicious meal of baked mackerel at one of the shops. 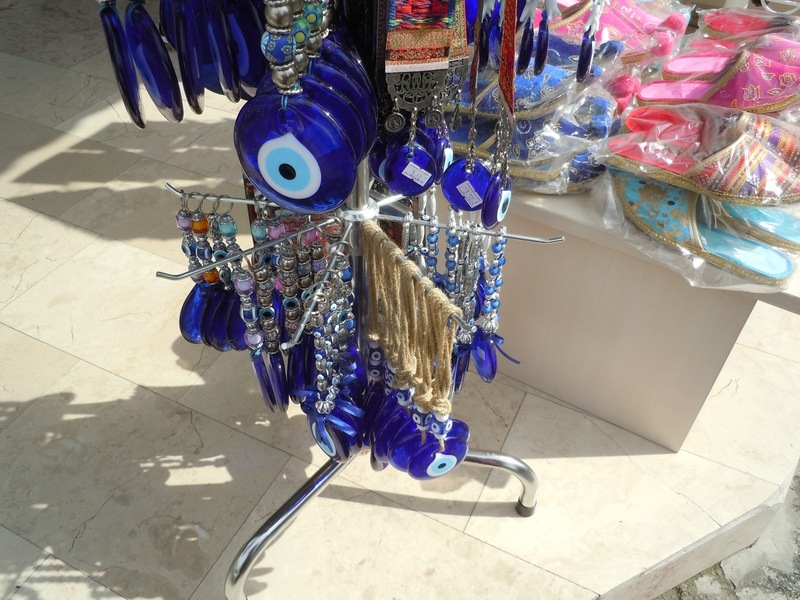 There were some shops selling Evil Eyes (Nazar Bosicugu) in various sizes and other typically Turkish handicrafts. They were far cheaper than similar amulets available in Istanbul. 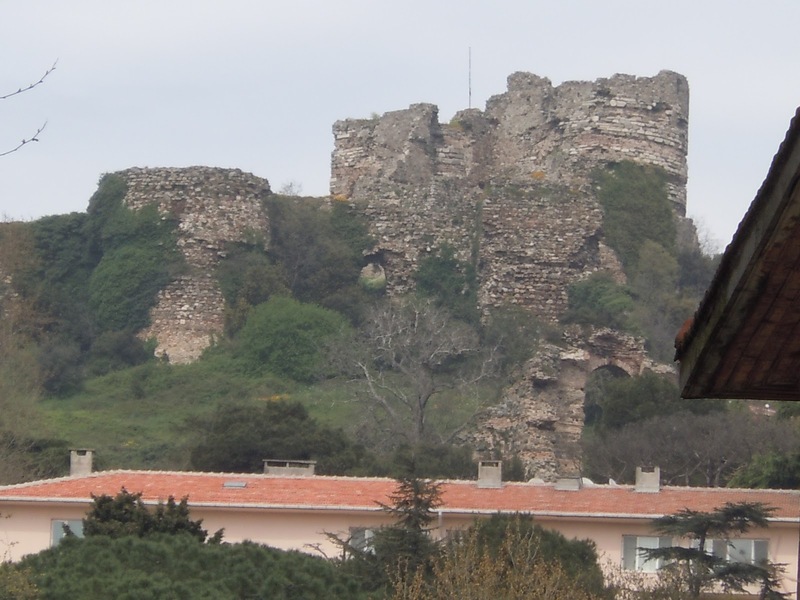 A road leads to the ruins of a fortress from the Byzantium era strategically built atop a hillock and overlooking the confluence of Bosphorus strait and Black sea on the Anatolian side. En route, there was a base for the Turkish Defence Force. We returned back to Eminonu totally refreshed. The weather had suddenly changed. It was cloudy and drizzling, and there was a chilly wind. When we came out of the ferry station it was beginning to get dark and the city had already started to shimmer. 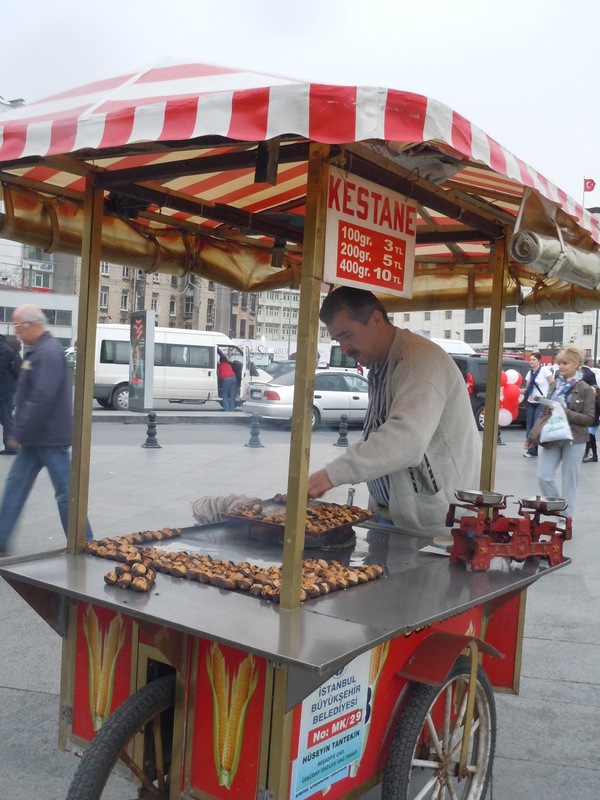 We sat in the tram station, munching on roasted hazelnuts and enjoyed watching the Galata bridge, New Mosque and traffic movement on rain-soaked streets. On our way back we got down near Sirkeci train station. The station was built in the mid-nineteenth century to connect Istanbul to the rest of Europe. The station edifice reflects a mixture of European and Oriental architecture. Once upon a time, the famous Orient Express used to cover a distance of around 3500 km to Paris in three days. My favourite Belgian armchair detective Hercule Poirot had taken this ‘crowded’ train from ‘Stamboul’ (Istanbul) on his way back to Paris in the famous Agatha Christie book ‘Murder on the Orient Express’. Agatha Christie had written this book in the 1930s sitting in the Totkalian Hotel, located on the busy Istiklal Street. 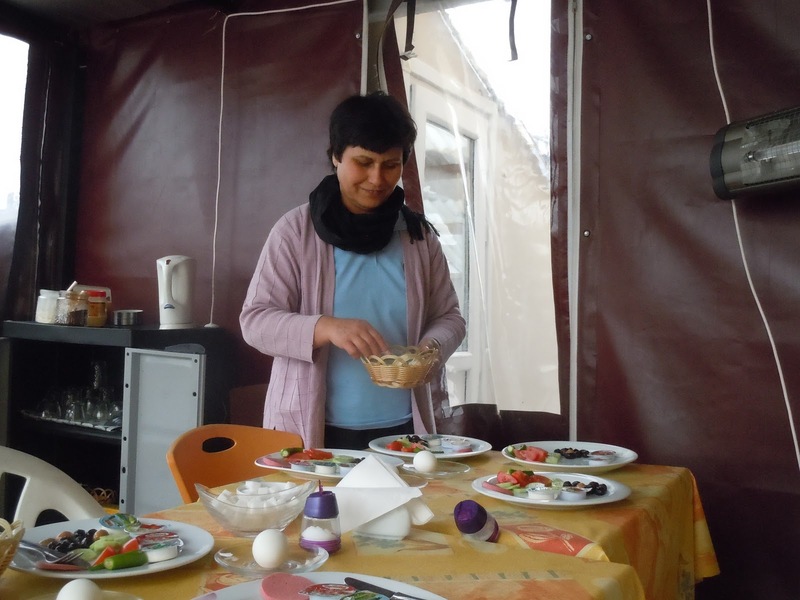 She wrote this book after having travelled from Calais to ‘Stamboul’. When we finally returned to Sultanahmet circle we were awed by the artistic illumination of the facades of Blue Mosque and Hagia Sophia. 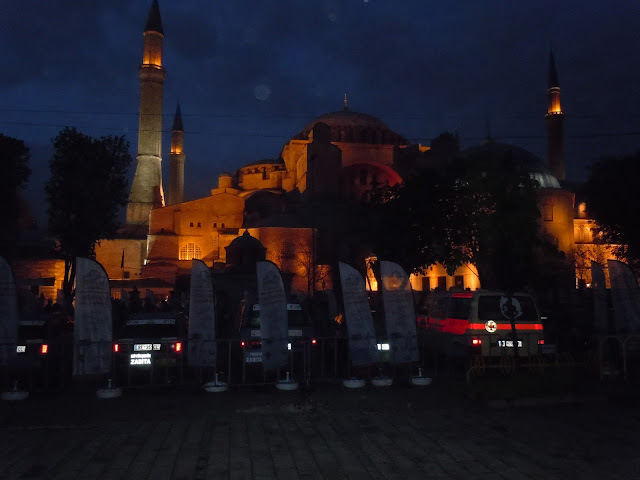 HAGIA SOPHIA in the night. Stands seen in the foreground were arranged for a car rally held on the next day.